We are a community of change makers, social entrepreneurs, start-ups, techies, non-profits, educators and overall do and want-to-do gooders. Collectively, we are cultivating a network that fosters social innovation, supports social entrepreneurship, and creates opportunities to change the world. 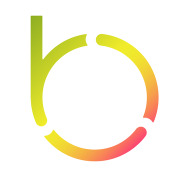 “Be” - events and panels that highlight creative social innovators and projects. “Social” - meetups that bring diverse groups of people together for idea sharing, collaboration and networking. “Change” - projects that create meaningful and sustainable impact in the NY area. Join us to connect, share ideas, and become a catalyst for change with fellow New Yorkers! You can also join our Be Social Change NY Facebook Group or share it with people not on Meetup. About Be Social Change November 14, 2011 10:57 AM Marcos S.